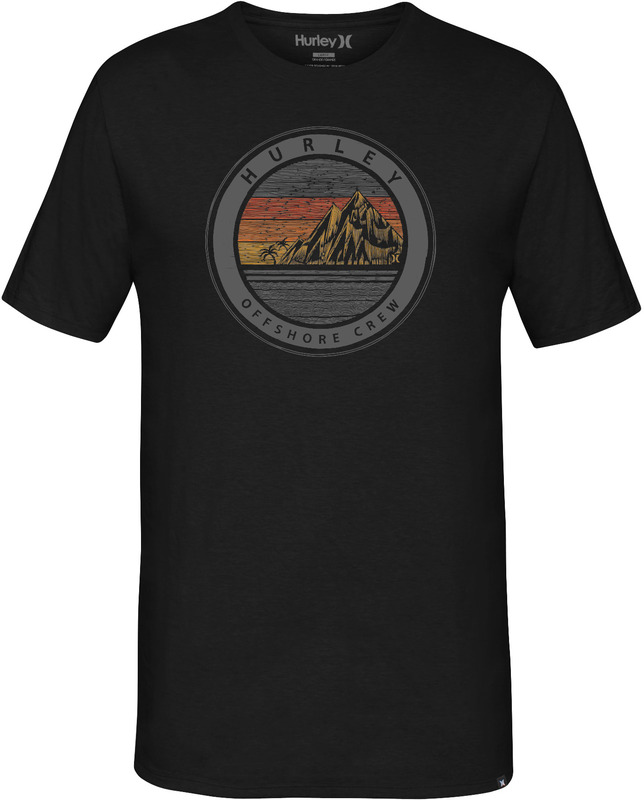 Spend your summers offshore and in style with the Offshore Crew T-Shirt from Hurley. 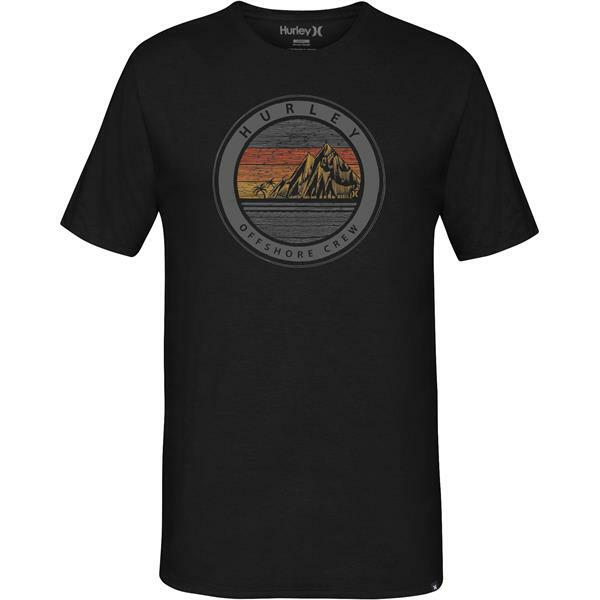 This men's graphic tee features a warm circular design with a tropical mountain scene, for a relaxed look that is perfect for the boat. Made of a durable cotton blend, this t-shirt is designed to last and provide a lightweight wear that ensures you'll be comfortable all season long. Pair with khaki shorts and sneakers for a great summer look you will love. love he print on this one .